"theicepodcast do a very good job...I liked them." "My Favourite type of podcast. A fun show that is definitely worth your time. Wake up and smell the ice!" 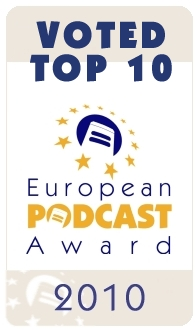 Thank-you for voting theicepodcast in the European Podcast Awards, we were listed in the Top 10.